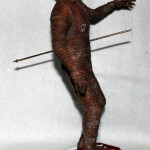 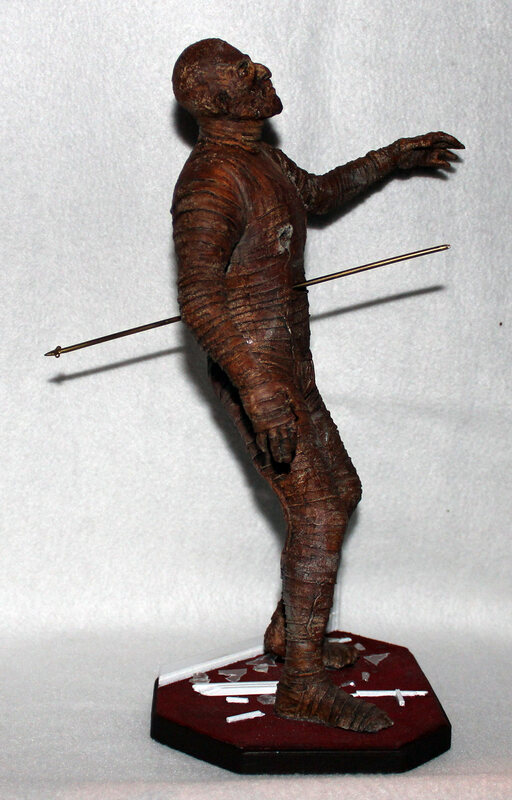 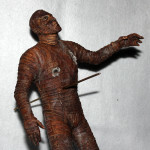 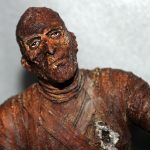 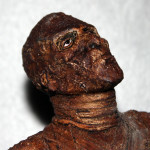 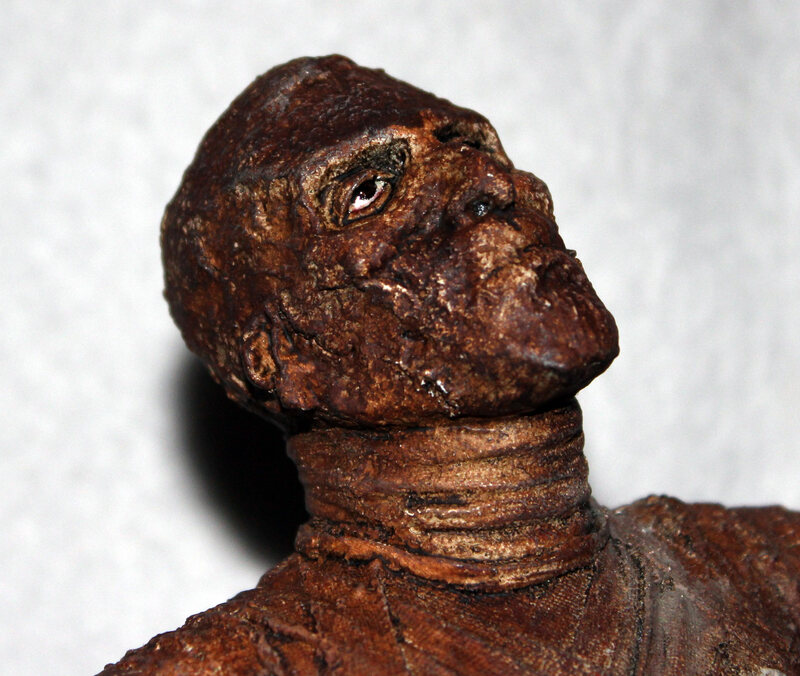 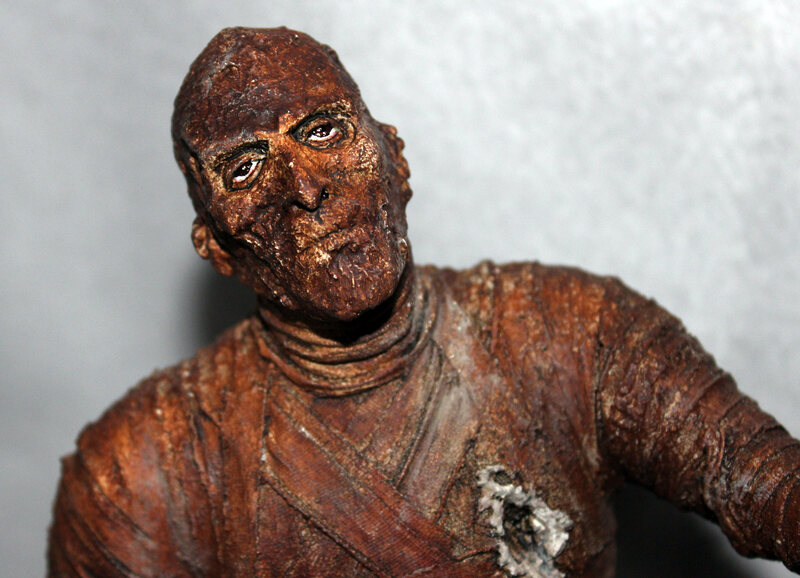 This X-O Facto version of the Christopher Lee Mummy by Hammer Films was sculpted by Jeff Yagher. 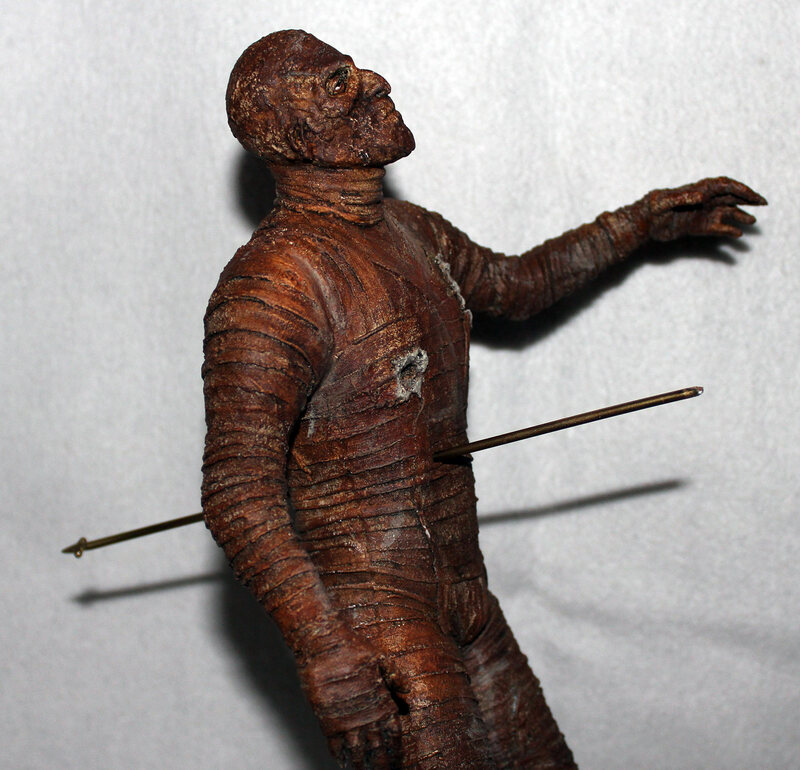 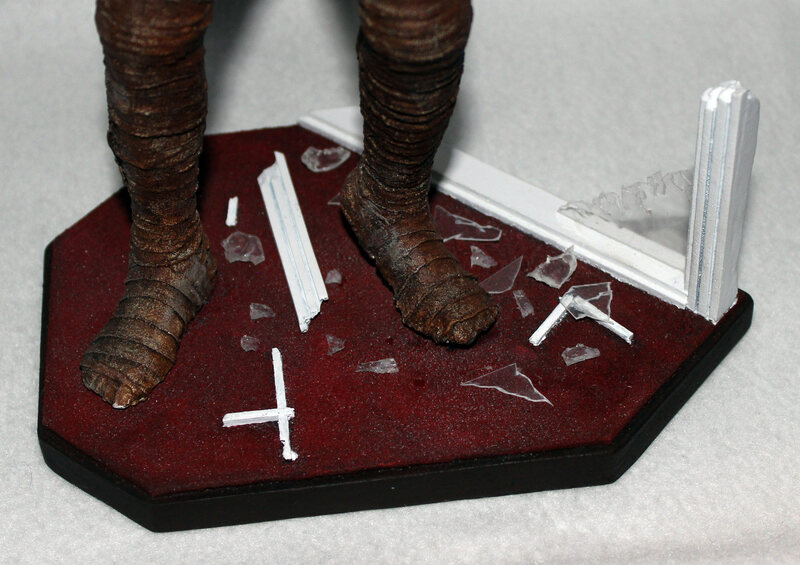 This sculpt is a classic image of a key scene when the mummy breaks through a window, was shot twice, and a spear jammed into his chest. 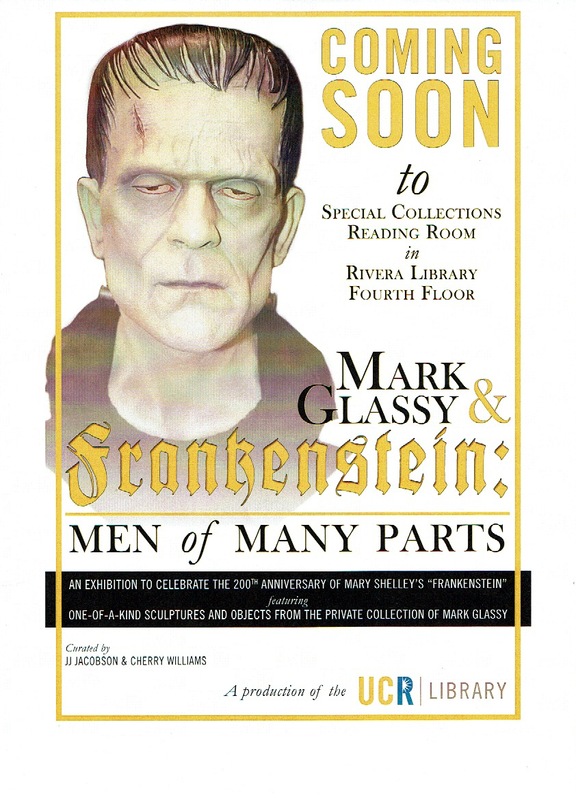 Prior to this the mummy emerged from a muddy swamp giving rise to his muddy color. The Mummy is a 1959 British horror film, directed by Terence Fisher and starring Christopher Lee and Peter Cushing. 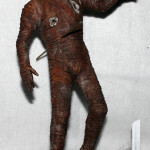 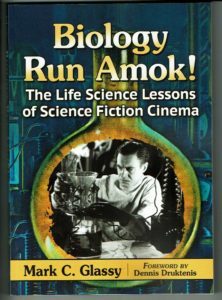 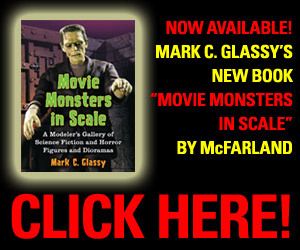 It was written by Jimmy Sangster and produced by Michael Carreras and Anthony Nelson Keys for Hammer Film Productions. 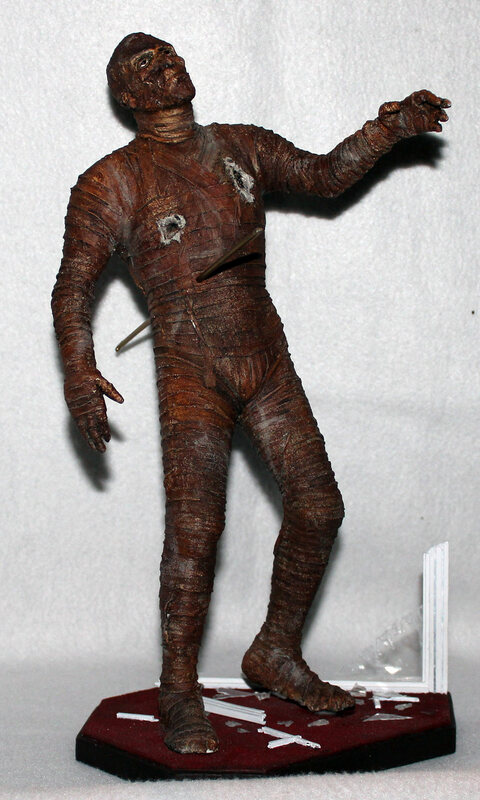 Though the title suggests Universal Pictures’ 1932 film of the same name, the film actually derives its plot and characters entirely from two later Universal films, The Mummy’s Hand and The Mummy’s Tomb, with the climax borrowed directly from The Mummy’s Ghost. 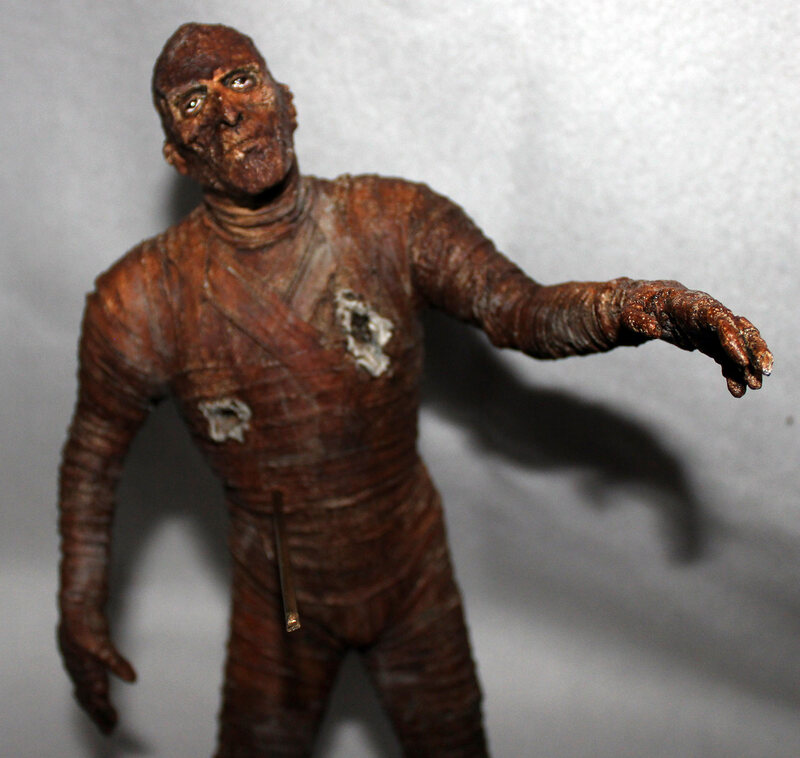 The character name Joseph Whemple is the only connection with the 1932 version.